Adj. 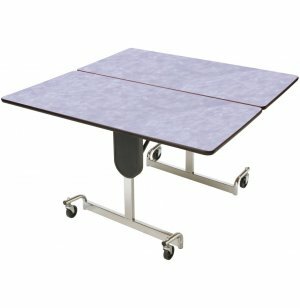 Height Square Cafeteria Table - Chrome 48x48"
This 48-in. square table from Mitchell Furniture Industries allows plenty of room for four people to be seated. 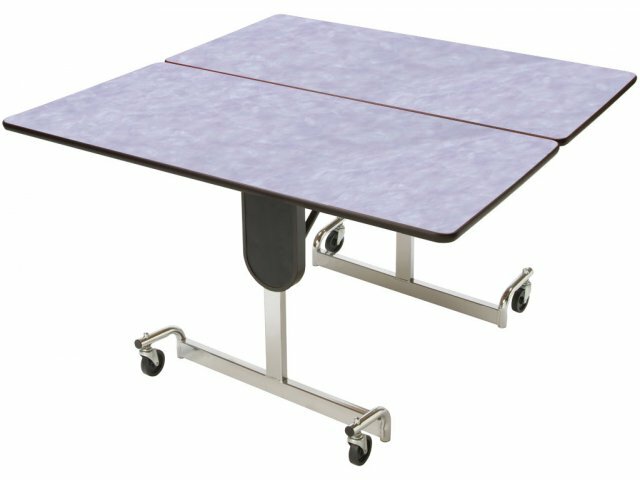 The table design also adds a degree of flexibility since the legs are adjustable in height, a feature not usually seen in cafeteria tables. Set the table height to fit the age of the students who will be sitting around the table.